Snowmass Truly Invincible is truly remarkable. 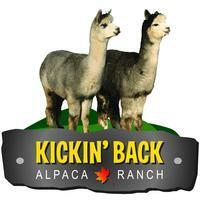 He is an outstanding fleeced male that is co-owned with Snowmass Alpacas. Truly is out of Snowmass Midnight Magic (Champion TB that beat Nova for color championship) and his dam is Little Miss Jennifer (a Accoyo Cahuide daughter and granddam to Snowmass Matrix)! These lines can throw Black & Grey! Typey heads, large bone with awesome coverage are on both sides on of his pedigree. Truly Blessed Eh carries awesome black genetics as the son of Snowmass Truly Invincible, the grandson of Ava Guivir Zorro who was jet black. TB is very easy to handle during herd health. He is very gentle. TB has started his breeding career, his first cria is due July 22, 2017. 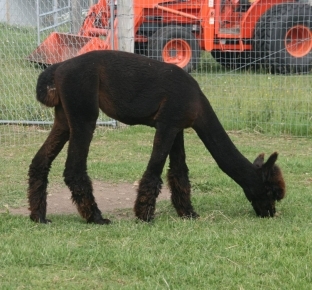 His first cria has arrived, a beautiful bay black girl named Truly Cute.